Concerns over the impact of oil and gas drilling on groundwater could become an election issue if the government goes ahead with plans to license large parts of the country for shale gas exploration. The analysis by Greenpeace found that more than 300 seats may contain both shale gas exploration blocks and designated groundwater zones. This includes large swathes of the Tory heartlands. Areas that appear to have a large overlap between fracking blocks and groundwater include the South East, East and East Midlands. Groundwater provides a third of our drinking water in England and Wales, rising to about 80% in some areas of southern England – though most UK water is treated before use. 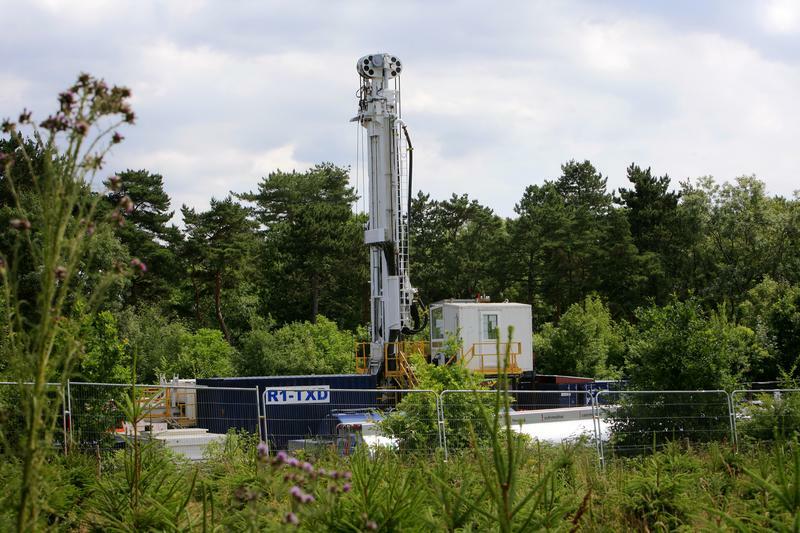 A 2012 European Commission report identified a high risk of contamination to groundwater from the shale gas drilling process – if sufficient regulatory safeguards are not in place. However the report also noted that “failures in hydraulic fracturing” in the US were rare. A recent study published in the Proceedings of the National Academy of Sciences found shale gas drilling had contaminated water supplies in Texas and Pennsylvania – but attributed the leaks to defective well casing, rather than fracking itself. The research comes as it becomes known two fracking sites in Lancashire look set to be refused, and ahead of the allocation of the 14th licensing round at some point this year. It also comes before a vote on the Infrastructure Bill on Monday, which could allow shale gas firms to drill under people’s homes. David Cameron has been spearheading government drive to go “all out for shale” despite widespread protests. New YouGov polling shows over half of the public (56%) feel ‘unfavourable’ towards government plans to allow fracking on aquifers and the land that feeds them while 23% felt ‘favourable’ and the rest didn’t know. The analysis shows there are around 200 Conservative seats in England and Wales that have groundwater showing on fracking blocks, out of about 260 that could potentially be fracked. Compared to other parties, this signifies a disproportionate risk of fracking in groundwater protection areas – Labour have about 100 constituencies with overlapping fracking blocks and groundwater out of around 200 with fracking blocks, while the Lib Dems have about 25 out of 40, respectively. This can be seen on the map below – which contains Environment Agency data on Groundwater Source Protection Zones (including inner and outer groundwater zones, as well as total catchment area) and Groundwater Safeguard Zones, combined with DECC’s 14th licensing round block data and constituency information. The analysis was conducted by overlaying the data in the map and examining whether fracking blocks within constituencies also coincided with groundwater areas – some of the groundwater areas were vast blots on the landscape, while some were small dots. The research also shows 14 of the 30 seats of ministers attending cabinet include the overlap between fracking blocks and groundwater. These include senior figures like George Osborne, William Hague, Theresa May, and Michael Fallon, as well as energy minister Matthew Hancock.